here today with a book excerpt and a giveaway. It is good to have you back for a visit, Maria, and especially since you have a new release. I enjoyed your excerpt and the book was excellent. Thank you for taking time to share this enticing tidbit with me and my readers. They paused at the base of the narrow, roughhewn servants’ stairs. Slender rays of sun trickled from a distant window above, painting the confined space in wisps of light and shadow. “Are you well?” Fitzwilliam asked sotto voce. Darcy sniggered. How did Fitzwilliam joke of death so easily? Darcy grunted and shuffled his feet. Moans and coughs floated in the stale air. They turned toward the butler’s rooms. Darcy bounced the back of his head against the cold stone wall. “I will never understand your rarified notion of marriage. But if you insist upon it, you best act to secure your happiness quickly, or it may be forever lost to you.” Fitzwilliam brushed past him and climbed the narrow stairs. Darcy sank down on the bottom step and drove his elbows into his knees. Bloody hell and damnation! Fitzwilliam was right. Retching and liquid noises raced through the narrow corridor. He might join the chorus himself very soon. No woman had ever been so well suited for him or Pemberley. But she was so unsuitable, with nothing but herself to recommend her. Would it even be fair to her to expect her to manage a place like Pemberley? She knew nothing about estates or—no, that was not true—she cared for Rosings, above and below stairs, as much as any proper mistress. With her quick mind and active nature, she would certainly rise to any occasion. If only he had kissed her. Then he might—gah! He sounded like Fitzwilliam now. She had bewitched him utterly, mind and soul. Lady Catherine de Bourgh is prepared to be very generous when it comes to medical care for her sickly daughter, Anne – generous enough to lure noted physician Dr. Thomas Bennet to give up his London practice and move his family to Rosings Park. But his good income comes with a price: complete dependence on his demanding patroness’s every whim. Now the Bennet family is trapped, reliant on Lady Catherine for their survival. Their patroness controls every aspect of the Bennet household, from the shelves in the closet to the selection of suitors for the five Bennet daughters. Now she has chosen a husband for headstrong Elizabeth Bennet– Mr. George Wickham. But Lady Catherine’s nephew, Fitzwilliam Darcy, is not so sure about his aunt’s choice. He is fascinated by the compassionate Elizabeth who seems to effortlessly understand everyone around her, including him. Lady Catherine has other plans for Darcy, though, and she forbids Elizabeth to even speak to him. As Anne’s health takes a turn for the worse, Darcy and Elizabeth are thrown together as Dr. Bennet struggles to save Anne’s life. 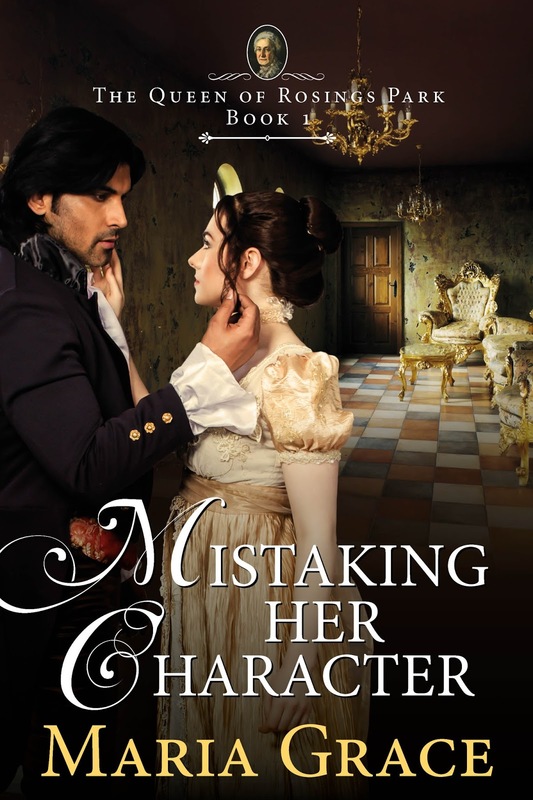 Darcy can no longer deny the truth – he is in love with Elizabeth Bennet. But Lady Catherine will do anything to stop Darcy from marrying her – even if it means Elizabeth will lose everything she loves. She has one husband, two graduate degrees and two black belts, three sons, four undergraduate majors, five nieces, six more novels in draft form, waiting for editing, seven published novels, sewn eight Regency era costumes, shared her life with nine cats through the years and tries to run at least ten miles a week. Thanks again for popping in, Maria Grace. I am sure my readers will be curious about the questions raised in your excerpt. Who is sick from laudanum? Why would Anne want Elizabeth for a companion? Who is this Anne anyway? Where is Mrs. Jenkinson going? What? Mr. Bennet a doctor? There are many questions that need to be answered. This dialog between the cousins is telling and offered some insight but still, the book must be read! Well done, Maria Grace. 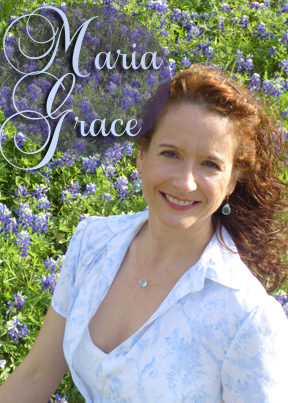 Maria Grace is offering an eBook of Mistaking Her Character to one lucky winner. The giveaway is international and you must 'have your share in the conversation' to be entered. Please leave your contact information in your comment so you may be informed if you are the randomly selected winner. Good luck in the giveaway. It will end at 11:59 PM on Thursday, 25 June, 2015. He does seem to take his time, doesn't he Vesper! I LOVED this story. I LOVED this Darcy. He became such a hero in this book. Swoon!!! Thanks, Monica. I felt that way about Mr. Bennet too! I've read several excerpts, and this story sounds great! J Dawn King has made me like more the story with only one sentence on her comment "e became such a hero in this book"! I got to read a large portion of this as a serial and I was riveted. I look forward to getting the rest. After reading Maria Grace's information, I would say that she is an accomplished woman! Why is Mr. Bennett a doctor? Does he exert himself for his family, as he certainly does not in P&P, or does Elizabeth have to take charge? Oh, Darcy, help her. In this variation, Mr. Bennet is a younger son and does not inherit Longbourn. So his profession is medicine. He is an excellent doctor, but not much of a father. Lady Catherine will always try to persuade Darcy to became her son-in-law but he will always fall in love with Elizabeth so she will not win. 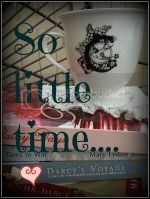 It is hard to have a P&P variation without Darcy falling for Elizabeth, isn't it? I have read this excerpt on another blog and loved it. Maria clearly knows how to write realistic characters that we all love though in very different circumstances than the original. I know how the story goes as I read it as a WIP on Jane Austen Variations but would love to win the e-book. Thanks for your generosity, Maria! I love this story. Wonderful excerpt. Thank you for the giveaway.